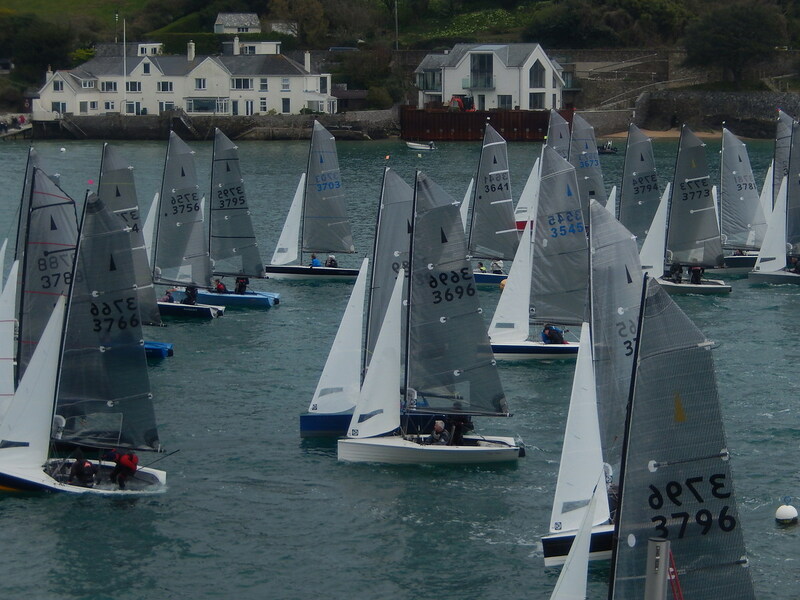 Salcombe Yacht Club : SYC 13 April 2019. Race 5 Spring Series. Home / News / SYC 13 April 2019. Race 5 Spring Series. 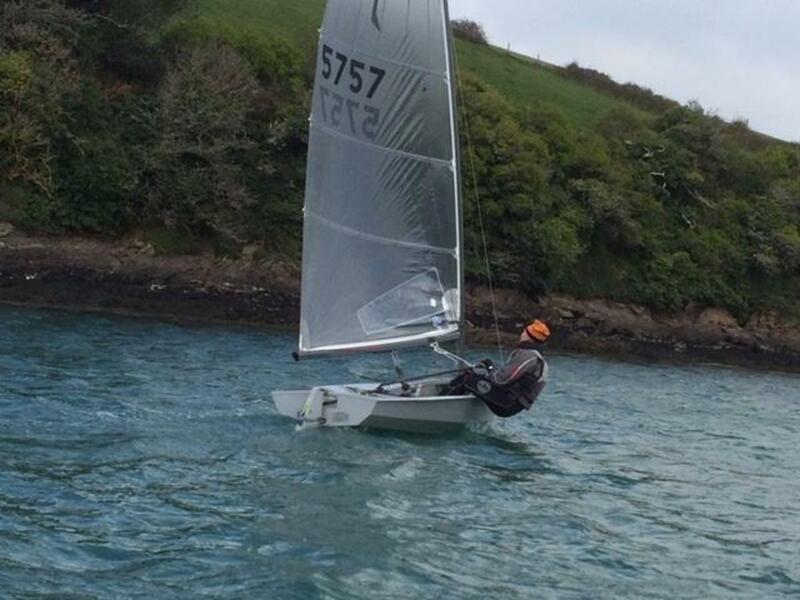 Salcombe Yacht Club had a very hectic weekend of dinghy racing over the weekend of the 13th and 14th April running both a sixty boat Salcombe Gin and Doom Bar sponsored Merlin Rocket Open Meeting and Club racing too. The weather was decidedly chilly and the strong wind was from the “Beastly East” creating both wind, hot and decidedly cold spots in the estuary. 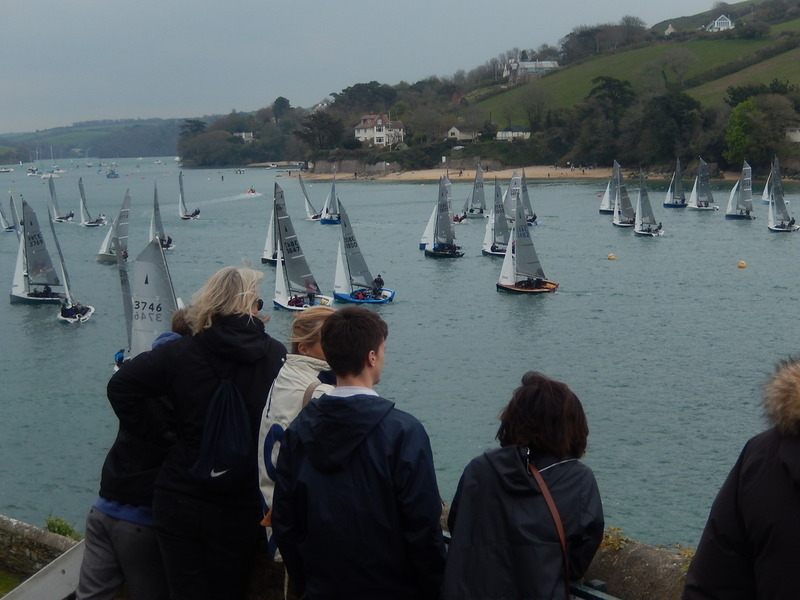 The chill wind did however ensure the sailors had the estuary essentially to themselves and in the evenings both the club and local restaurants were full of sailors from throughout the country bringing welcome early Easter life back to Salcombe Town. 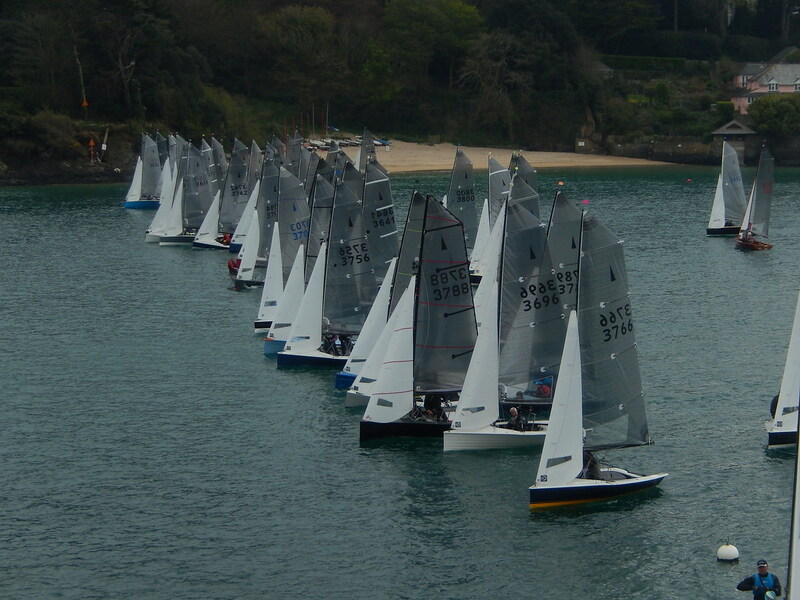 With the sailing areas full of Merlin Rockets the club racing was squeezed in between two Merlin Rocket starts. The Solo fleet was led away by Julian “Lodiswell Boy” Meek who disappeared up towards Yalton mark in the fresh breeze only to round a recently laid Merlin Mark and lose position before correcting his mistake. Simon “Yotter” Yates and Robin Hodges then battled for the lead whilst Julian Meek progressively recovered his position towards the front. 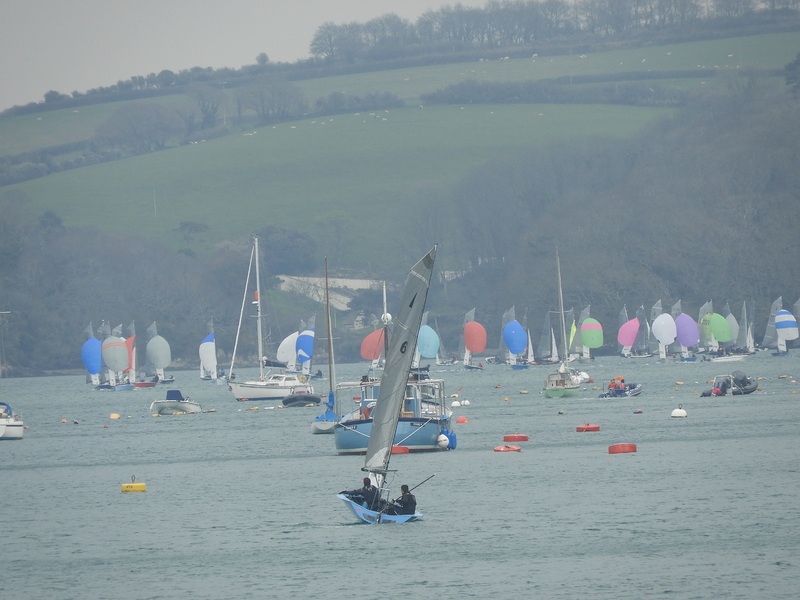 With the “Beast from the East” once more in action, sailing in certain parts of the estuary was terrific, however close to Salcombe, in the region of the start and finish line the wind patterns were a sailors nightmare. In the end Roger Hodges was the race winner with Julian Meek second after Simon Yates was unfortunately disqualified for transgressing a Club Fairway rule that is sometimes introduced in order to maintain a clear channel for cruisers, power boats and the famous South Sands ferry. 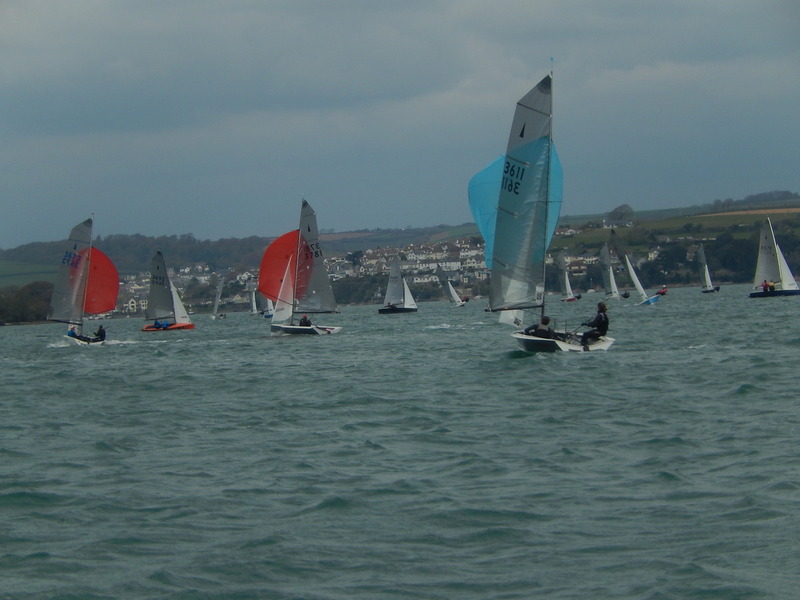 The handicap fleet had a strong Phantom presence and these powerful boats had sections of the course where their fast planning speed could be used to the full. On the water Paul Ellis in his Phantom was able to keep ahead of the Chris Cleaves Phantom and both held off on handicap the now ever consistent Yawl of Stephen Galvin.